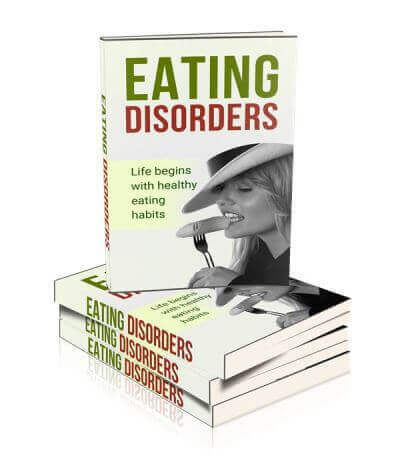 Binge Eating, Anorexia, Bulimia and More! 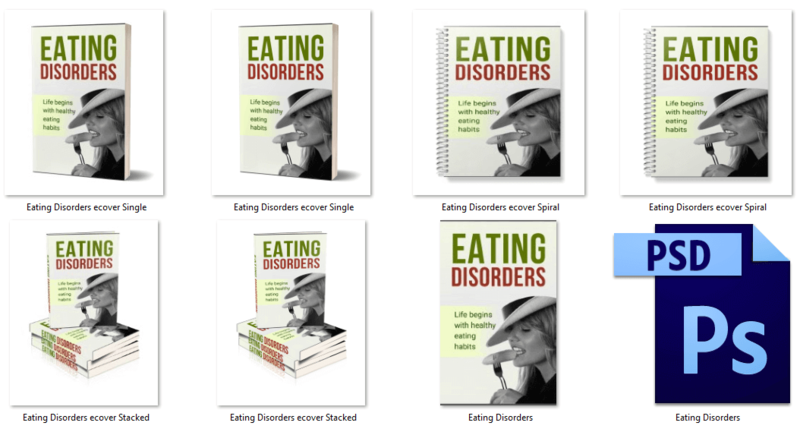 Module 1: eBook - "Binge Eating"
Module 3: Report - "Eating Disorders"
Module 5: Squeeze Page for Your Report Offer! Module 8: 10 More Social Posters! Module 10: Articles - 10 More... that makes 20! Module 11: Another Pack of Social Posters!! 7,241 words, 37 pages. – Formatted and includes a table of contents with easy to click hyperlinked pages. 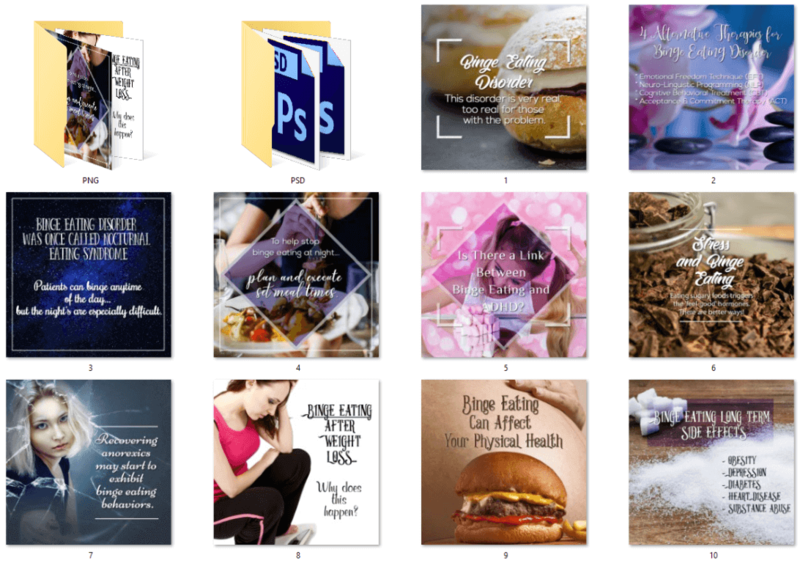 The ebook cover is provided in many different styles for you to choose from. Plus, you'll receive each style in a JPG and PNG. The PSD file is also included for easy editing. These are high quality ecovers that make you stand out from the crowd! 3,889 words, 22 pages. – Formatted and includes a table of contents with easy to click hyperlinked pages. Professionally created. Eye-catching eCovers in many different styles to suit your own requirements. Provided in both JPG and PNG high quality formats. Plus you get the PSD file to edit and brand as your own! This ebook is professionally formatted and illustrated with 100% royalty free, commercial use images. We have included a disclaimer, an introduction and a conclusion. 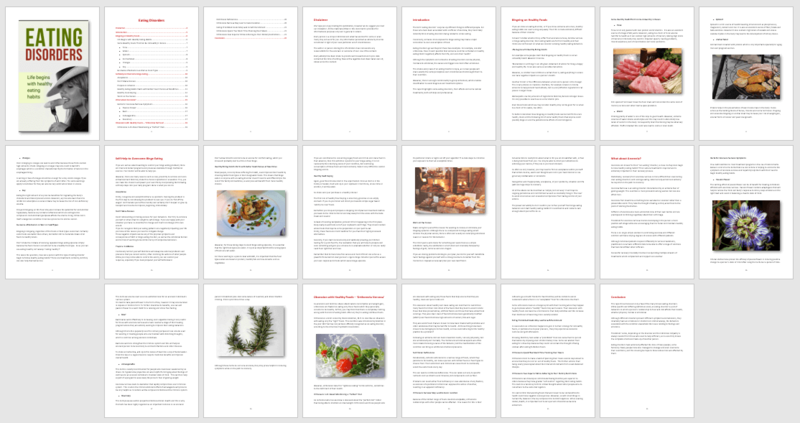 The table of contents is hyperlinked too! The report cover is provided in many different styles for you to choose from. Plus, you'll receive each style in a JPG and PNG. The PSD file is also included for easy editing. These are high quality ecovers! You'll look professional when you use these graphics! We've created the copy for your WordPress squeeze page! 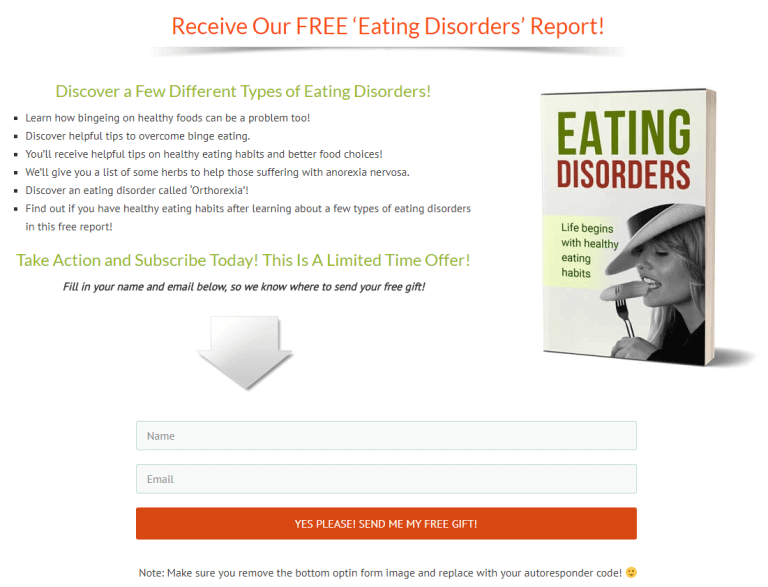 Now you can promote your 'Eating Disorders' report optin offer without having to create the content yourself. We've done it for you!! Simply copy and paste into your WordPress page! Add your optin form and you'll be ready for your website visitors to subscribe to your newsletter and to receive their gift! Plus, the image will show as it will be hosted on our server. So, you can either upload to your own media library or keep it hosted on ours! The choice is yours. Instructions are included for your convenience. You'll receive 10 beautiful social posters! They're perfect for sharing on any social media site and your own website! They’ll get people sharing your content, which means links to your website! You’ll receive the JPG, PNG and PSD files for editing. You'll receive 10 more beautiful social posters! They're perfect for sharing on any social media site and your own website! You’ll receive the JPG, PNG and PSD files for editing. Each social poster goes with one of the articles above! Module 10 - More Articles! Here's another ten article pack on yet another eating disorder! 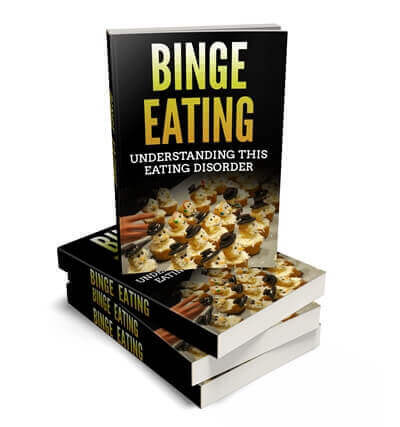 Many people get confused over bulimia and binge eating. They are two different disorders! Module 11 - Another Pack of 10 Social Posters! You'll receive 10 more beautiful social posters to go with each of the articles above! Plus, you’ll also receive the PSD files for editing. Another full-size infographic, created into a further 4 infographics! Full size infographic measures 1,000px x 6,485px. These are excellent for your website and social media platforms! This bonus full-size infographic, creates a further 4 infographics! The full size infographic measures 1,000px x 5,240px. Start sharing and get more shares and traffic to your website! They work! We use them all the time! 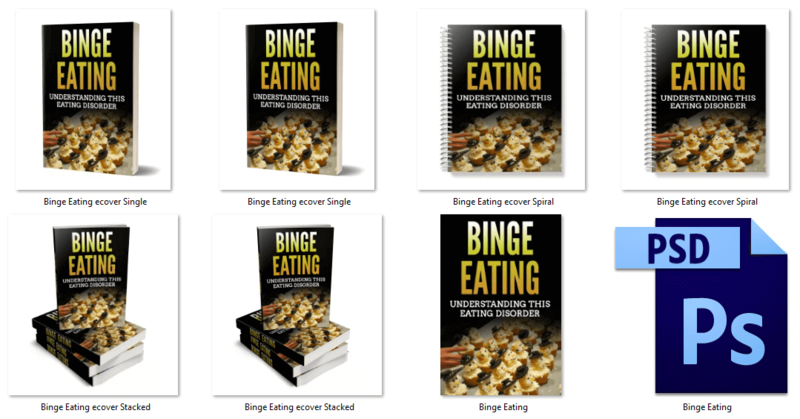 'Binge Eating' eBook - 7,241 words, 37 pages. This ebook has been professionally formatted and includes a disclaimer, an introduction, conclusion and table of contents. It is fully illustrated with royalty free, commercial use images. Brand as your own and keep 100% of the profits! eCovers in many different styles. Royalty free, commercial use! These eCovers are provided in both JPG and PNG formats. 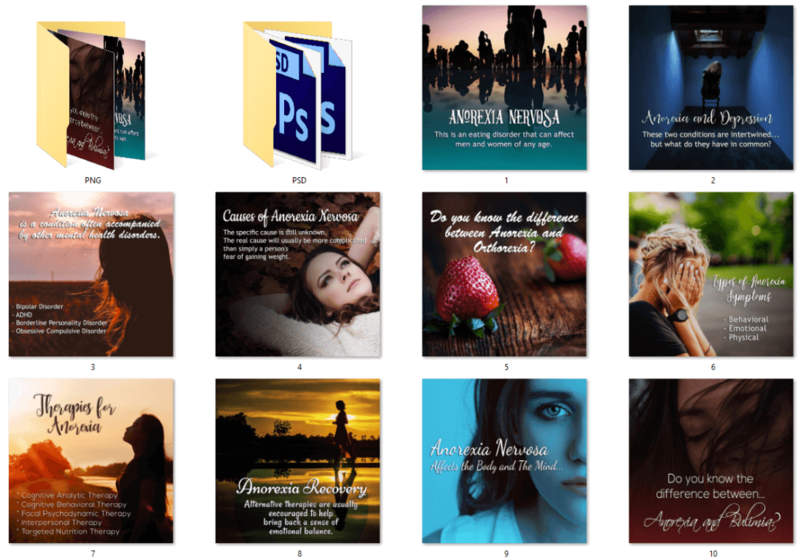 Plus you get the PSD file to edit the ebook and brand as your own! People do judge books by their covers…it’s a well known fact. First impressions do count, that’s why we provide you with high quality designs that make you look professional! 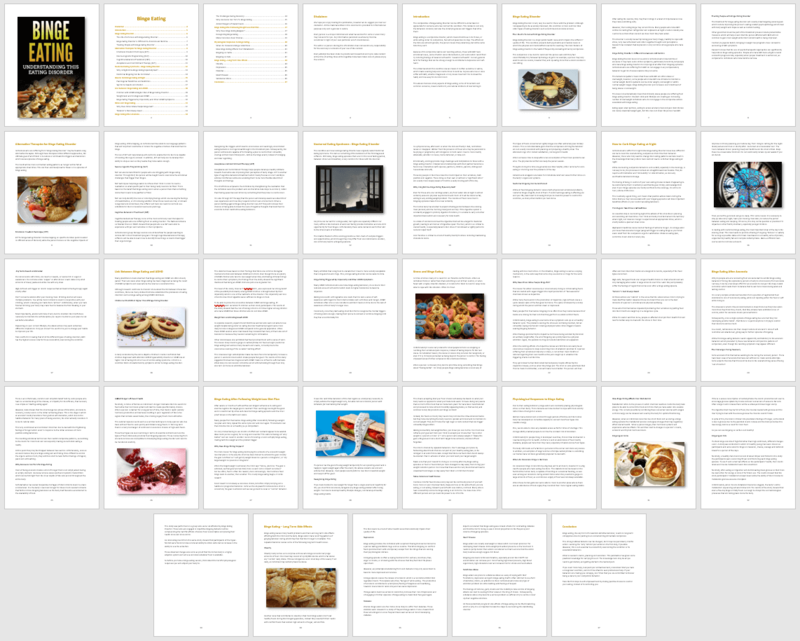 'Eating Disorders' - 3,889 words, 22 pages. Formatted, disclaimer, introduction and disclaimer added. Fully illustrated with commercial use royalty free images! Again, you’ll receive beautiful eye-catching eCovers in many different styles, in JPG and PNG formats. You’ll also receive the PSD file to edit and brand as your own. Royalty free, commercial use images…safe to use! We've created the copy for your WordPress squeeze page! Now you can promote your report optin offer without having to create the content yourself. We've done it for you! You'll receive 10 well researched, well written and edited articles! The content is interesting, so you’ll keep your readers reading, and coming back for more! It’s great to give your website visitors informative, interesting articles that provide answers to their questions…or solutions to their problems! You'll receive 10 more beautiful social posters! They're perfect for sharing on any social media site and your own website! You’ll receive the JPG, PNG and PSD files for editing. Each social poster goes with one of the articles above! The report cover is provided in 5 different styles for you to choose from. Plus, you'll receive each style in a JPG and PNG. The PSD file is also included for easy editing. Who doesn't need more articles to use? We can never get enough... so we want you to have more too! Another Pack of 10 Social Posters! Everyone loves our infographics and you will too! Here's another bonus full-size infographic! It creates a further 4 infographics! The full size infographic measures 1,000px x 5,240px.